As the next Orange County Assessor, I believe that Richard will truly serve the Orange County public with diligence, fairness and integrity. 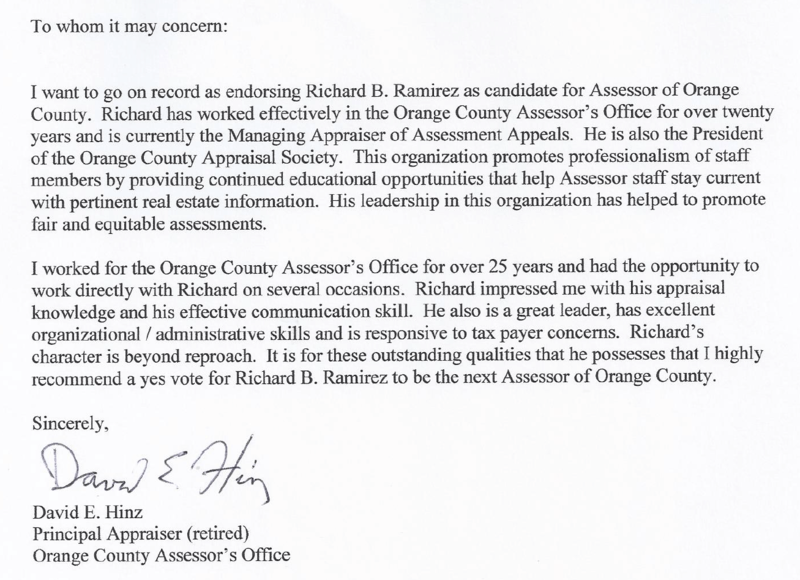 Vote Richard B. Ramirez for OC Assessor in 2018! I worked with Richard for 10 years at the Orange County Assessor’s Office. He is an excellent appraiser, has a thorough understanding of California property tax law and works well with people. He has the knowledge, integrity and managerial skills to do an excellent job for the taxpayers of Orange County. 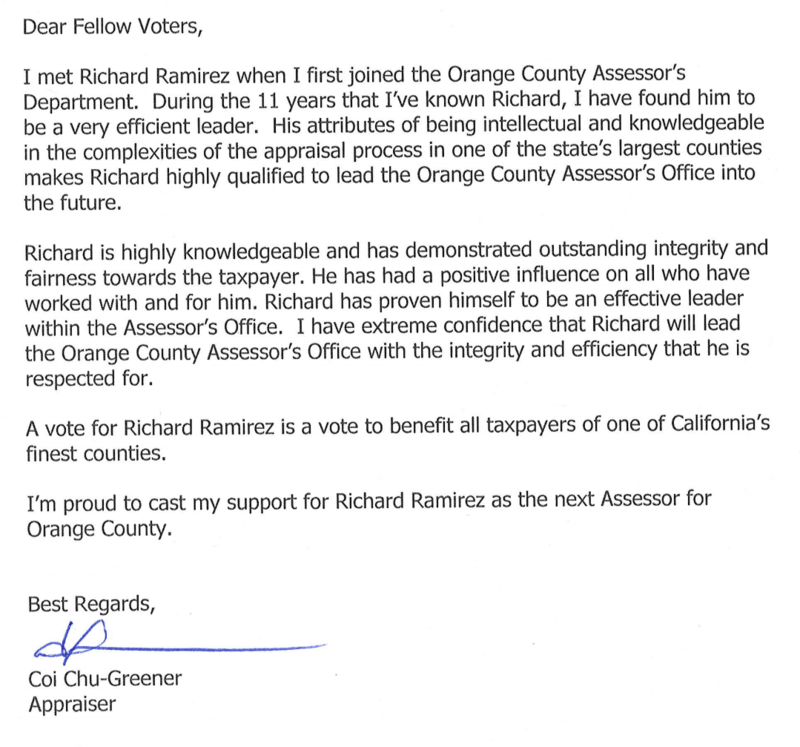 I am proud to support Richard Ramirez for the office of Orange County Assessor.